Last night Concern Worldwide UK and Fiona Twycross, an elected London Assembly member, hosted a launch of the Global Hunger Index (GHI) Report of 2014 at London's City Hall. I was on the panel along with Richard Mwape from Zambia (speaking on Realigning Agriculture to Improve Nutrition, RAIN), Baroness Northover and Lord Collins from the UK Parliament. It was chaired by Chris Elliot, Chair of Concern Worldwide UK. The theme of the 2014 GHI is "Hidden Hunger" (micronutrient malnutrition). 1. 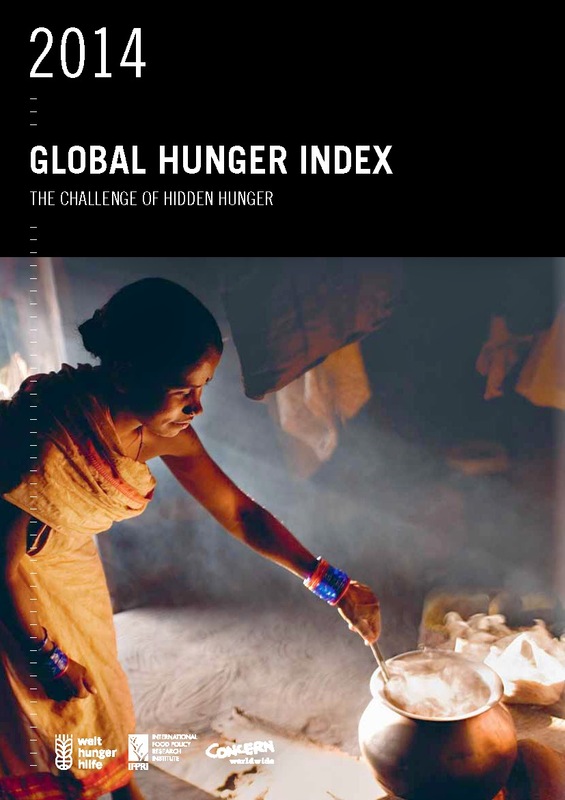 The GHI is an annual hunger index. It is intended to mark country level progress, incentivise and guide action and strengthen accountability. 2. The GHI is a composite measure of hunger. It combines 3 measures: undernourishment (food supply based); underweight of under 5's (capturing food, care and health) and under 5 mortality rates (capturing the interplay of diet and infection). So the GHI is a fairly well rounded indicator of hunger. 3. Progress. The 120 "developing countries" have made good progress: scores declining from 20.6 in 1990 to 12.5 in 2014. There has been progress in all regions, especially in South Asia. The South Asian figures are driven by a new Indian national government survey which shows that underweight rates declined by 13 percentage points (from 44% to 31% between 2005 and 2013). I also noted that while this is fantastic (if the numbers hold up to further scrutiny) there is plenty of room for improvement: The Report notes that India moved from 127th/128 on underweight rates to 120th/128 for countries with data. Sub-Saharan Africa has highest scores and in the past 5 years they have been coming down faster than before. Reasons for the acceleration? The Report suggests success in fighting Malaria and HIV/AIDS, more antenatal visits, immunisations, expanded access to improved water and sanitation and income growth (interestingly few mentions of contributions made by agriculture). 4. The GHI is a good measure of hidden hunger as well as of hunger. Hidden hunger refers to deficits in the intake of vitamins and minerals (micronutrients) in the diet. Food intake may stave off hunger pangs but if diets are low in nutritional diversity and quality this will have consequences. Micronutrient deficits have clinical manifestations that show when the deficiency is already significant (e.g. night blindness, cataracts, goitre, weak immune systems, poor birth outcomes), but there are no warning pangs of hunger to alert us to these deficits in quality. Hence the "hidden". The GHI is well linked, statistically, to specific measures of hidden hunger (such as anemia rates). Interestingly the undernourishment component of GHI is the least well linked (not surprising since it is based on aggregate food supply) and this shows the value added of including the other 2 dimensions of the GHI (underweight and under 5 mortality rates). 5. Progress on some micronutrient deficiencies is shockingly slow. There are some success stories--vitamin A supplementation for under 5s and salt iodisation but, as the Global Nutrition Report will show on its release at ICN2 (Nov 20), only 5 of 185 countries in the world are on course to meet the global anaemia reduction targets (for women of reproductive age). Why so slow? For anaemia I would guess a mix of lack of awareness of the magnitude of the problem, lack of awareness of our inability to make progress, the fact that it affects women more than men, lack of appreciation of the economic consequences, and the lack of platforms to deliver interventions to key target groups. This lack of progress affects nearly all countries--countries should make common cause to share experiences about why some are making progress and some are not. 6. As researchers, civil society and government, it is our responsibility to make this issue less hidden. We need to be open to working with the private sector around fortification (they are neither absolute heroes or villains--it all depends on context). We need to be open to a range of interventions: agriculture for diet diversity, biofortification, supplements, fortification and food subsidies and public agricultural research that incentivises the consumption and production of healthier foods. There is no silver bullet. We need more data (we only have anaemia data for 185 countries because so few countries have their own survey data it has to be modelled for everyone else) and we need more studies that quantify consequences in ways that Ministers of Finance can understand. 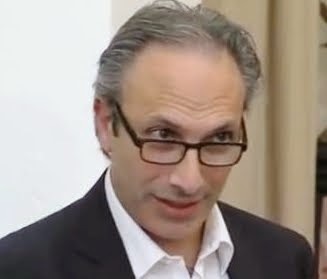 Ultimately malnutrition reduction is about social change, and civil society has always been at the forefront of that, so civil society needs to educate, organise, advise and agitate. Most malnutrition is hidden. Micronutrient malnutrition is cloaked in invisibility. We can change that.